Oil slipped below $68 a barrel toward its lowest level in almost a month after an industry report showed a surprise gain in American crude inventories at a time when more supply is expected from OPEC and the US. Futures in New York dropped as much as 0.8%. 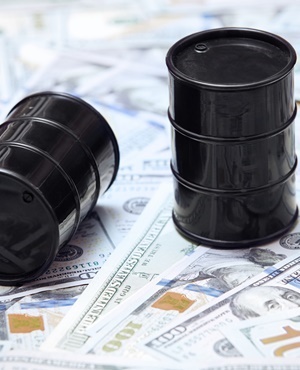 The American Petroleum Institute was said to report stockpiles rose 629 000 barrels last week, in contrast to expectations for government data due on Wednesday to show a 4.1 million barrel drop. Meanwhile, US benchmark West Texas Intermediate is hovering just above its 100-day moving average after London’s Brent settled below that level on Monday for the first time since March. Crude has retreated about 9% in July as an escalating trade conflict between the US and China threatens to derail economic growth and cut demand. Goldman Sachs said the potential release of crude from America’s emergency stockpile, signs that Saudi Arabia is responding to increased pressure from President Donald Trump to pump more and uncertainty over the timing of a possible drop in Iranian exports due to sanctions are stoking price volatility. “The trade dispute between the US and China is still going on and the heightened pressure from Trump to keep prices low is restricting oil from climbing higher,” Will Yun, a commodities analyst at Hyundai Futures, said by phone. WTI crude for August delivery dropped as much as 56 cents to $67.52 a barrel on the New York Mercantile Exchange and traded at $67.62 at 08:49. Prices are trading at less than 1% above their 100-day moving average. Total volume traded was about 57% below the 100-day average. The contract added 2c to $68.08 on Tuesday. Brent for September settlement fell as much as 60 cents, or 0.8 percent, to $71.56 a barrel on the London-based ICE Futures Europe exchange. Prices on Tuesday rose 32 cents to $72.16. The global benchmark traded at a $4.90 premium to WTI for the same month. The Brent market is still showing signs of weakness, with front-month Brent futures trading at a discount to its second-month contract. Futures for September delivery gained 0.5% to 481.7 yuan a barrel on the Shanghai International Energy Exchange, after dropping 2.6% on Tuesday. The API was also said to report inventories at the biggest US pipeline hub in Cushing, Oklahoma, fell 1.34 million barrels last week, while both gasoline and distillate supplies rose. Stockpiles at Cushing probably fell by 700 000 barrels, according to a Bloomberg survey before the Energy Information Administration’s data on Wednesday. A stronger greenback, which reduces the appeal of commodities priced in the US currency, is also weighing on prices, Hyundai Futures’ Yun said. The Bloomberg Dollar Spot Index has risen 0.7% since Monday after Federal Reserve chairperson Jerome Powell told a Senate committee that the central bank will continue to gradually raise interest rate. Meanwhile, US Senator Chuck Grassley, along with a fellow Republican and two Democratic lawmakers, introduced legislation in the Senate that’s aimed at allowing the government to bring lawsuits against OPEC members for antitrust violations. While George W. Bush and Barack Obama had threatened to use their veto power to halt various versions of the “No Oil Producing and Exporting Cartels Act,” or NOPEC bill, becoming law, the cartel face the risk that Trump may break with precedent. Trump has been a vocal critic of OPEC for decades and has also gone further than other presidents in commenting about specific oil prices and production levels. • Libya is ramping up oil output at its eastern fields, offsetting thousands of barrels in production lost from the partial shutdown of the country’s biggest deposit after gunmen kidnapped workers there. • Gasoline futures fell 0.7% to $2.0128 a gallon, after gaining 1.2% on Tuesday.